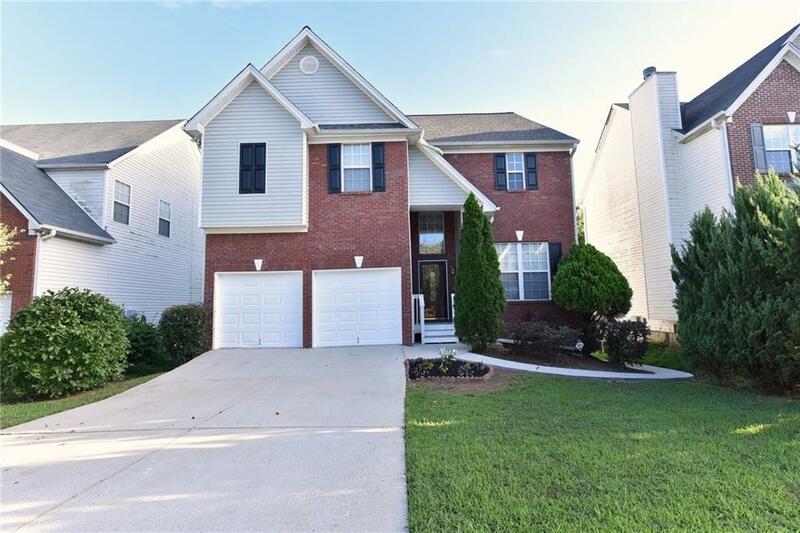 This 2-story brick front home offers a welcoming foyer with hardwood floor & opens to a formal dining room; a bright family room with marble surround fireplace & bamboo floor. Its kitchen offers separate dining, breakfast bar, new granite countertops, new tile backsplash, white cabinets, work desk, stainless steel appliances & access to a deck that overlooks a fenced yard; a master suit with trey ceiling, separate tub & shower, new tile floor, double sinks & walk-in closet. New interior paint, finished basement with kitchenette, dining area & extra storage. Must see!